Studied literature, philosophy and musicology in Zurich, Berlin and Paris. 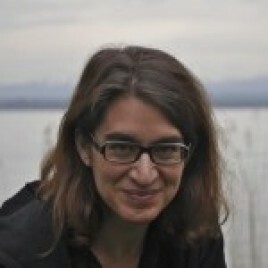 She works as a literary and film critic for various magazines in Switzerland and was the director of the Solothurn Literature Days – the biggest literary festival in Switzerland. She currently manages the House of Literature in Lenzburg. This summer she published her debut novel Concert for the Fearless [Konzert für die Unerschrockenen].Picture: Matthias von Gunten A meeting with Bettina Spoerri will take place in The Pod Baranami Palace on 23rd October. On 23rd October the writer will take a part in The Night-time Reading as well.